It is my favorite time of the year again, and the foodie gawds are looking out for our wallets! It’s NYC Restaurant Week from January 21st – February 8th. During this special time, you are able to get a three-course prix fixe dinner for $42 or a three-course lunch for $26. Of course, this does not include beverages, gratuity, and tax SO BE SURE TO TAKE CARE OF YOUR SERVER – THANK YOU. I highly encourage you to make a reservation due to the popularity of this event via their program sponsor OpenTable, or you could go old school and actually call the restaurant. Feel free to check out the NYC Restaurant week official website for more deets and a complete list of restaurants. This promotion excludes Saturdays and some restaurants include Sundays as optional so call ahead to confirm. When it comes to food, we first eat with our eyes. By that I mean we are naturally stimulated by our sight. The more appealing food is, the more likely you are to indulge. Here are some restaurants that do a superb job of stimulating us visually with a great IG page. In the wise words of Fab “…you look so good you should win an InstaGrammy.” Check out the list below and be sure to follow a couple, because they won’t disappoint you. These restaurants should win an InstaGrammy! 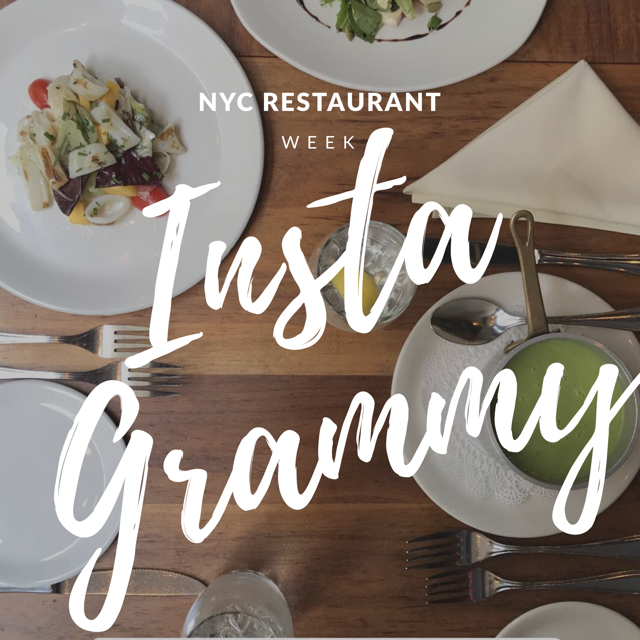 Got a favorite restaurant for NYC Restaurant Week? If so, sound off in the comments below!